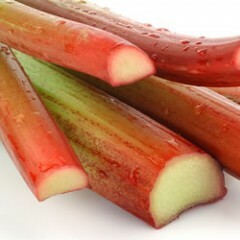 A minor crop in New York, 24 acres of rhubarb are grown on 57 farms in New York (2007 Census of Agriculture). Rhubarb is a perennial crop which grows well in the cool climate of New York. Growth begins when temperatures warm in the spring. The typical harvest season is May through July. Rhubarb plantings can remain productive for eight or more years. Rhubarb is relatively free of insect and disease problems, but perennial weeds can become problematic. Twelve weed science research plots were established at the Homer C. Thompson Vegetable Research Farm in Freeville and with on-farm collaborators. Research trials included: herbicide evaluation trials in dry bean, snap bean, lima bean, beets, carrots, peas, and sweet corn; a NYFVI support trial in collaboration with Sarah Pethybridge and Julie Kikkert on evaluation of ethofumesate rates for beets; and an industry sponsored evaluation of a new products for potential use in carrot, rosemary, rhubarb, bell pepper and broccoli. This video is an overview of Good Agricultural Practices (GAPs) through on-farm risk assessment. Cornell Cooperative Extension, along with the National GAPs Program and the New York State Department of Agriculture and Markets, has developed and implemented a nationally-recognized training program in GAPs to prepare New York growers for the marketplace's increased vigilance in food safety. You can learn more about that program through this video, as well as updates on the Food Safety Modernization Act (FSMA), and economic information on the implementation of GAPs collected from growers through extensive interviews.